5-HT3 antagonist at 5-hydroxytryptamine (serotonin)-3 receptor, H1 antagonist at histamin-1-receptor, D2 antagonist at dopa-min-2 receptor a Scientific information b Proved by studies c Expert opinion or organ transplant. Nevertheless, Jehovah's Witnesses request all other kinds of medical treatment to save their lives. Patient management depends on the laws of the country; e.g., in the United States, it is the right of a competent adult to refuse transfusion even though the result of such a refusal may be death of the individual. The perioperative strategy seems to be quite easy if the patient can express his or her wish not to receive any blood or blood products in an elective setting. The key conditions for a legal informed consent are "competency" and "adulthood". There should be a high grade of suspicion concerning competency if the patient has abnormal or unstable vital signs, altered mental status, evidence of impaired judgment as from a central nervous system injury or illness, or any sign of alcohol or drug intoxication. In regard to the definition of a minor, individuals are generally considered too young to make a decision for themselves if they are under the age of 18; however, exceptions can be made for self-sufficient minors and emancipated minors. A self-sufficient minor is one who is age 15 or older and lives separately and apart from his or her parents or legal guardian. An emancipated minor is any person under the age of 18 who has entered into a valid marriage. Concerning minors, the courts have ordered transfusions for children in life-threatening situations despite the objections or their parents or legal guardians. The same applies to incompetent adult patients, where courts have predominantly ruled that a physician has a legally recognized right to proceed with emergency procedures such as transfusion therapy even over the objections of the relatives (Rashad Net University 2006). 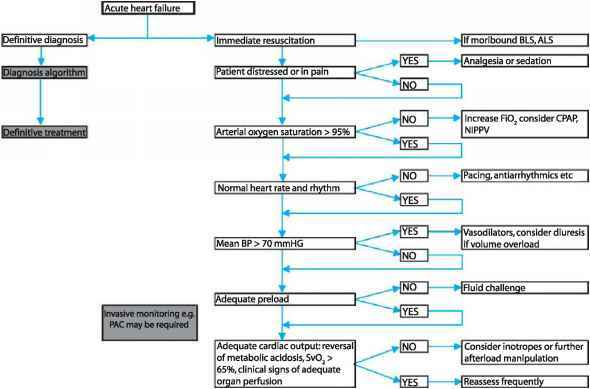 To understand the physiology and compensatory measures of a reduced hemoglobin concentration and deduct possible strategies to maintain oxygen supply of the body, the following parameters should be discussed. The oxygen delivery of the organism (DO2) is the product of the cardiac output (CO) and the arterial oxygen content of the blood (caO2). The content of oxygen of the arterial blood consists of the major part of 98.5% that is stored in the hemoglobin (SaO2*Hb*1.39) and the minor part of 1.5 % that is physically stored (paO2*0.003). Physiologic compensation of anemia (decrease in hemoglobin concentration) to maintain adequate oxygen delivery is achieved by increased cardiac output (tachycardia, increased contractility). Therapeutic measures include lowering oxygen consumption and administering high inspiratory oxygen concentrations (increase in SaO2 and paO2) by sedation and mechanical ventilation. Oxygen consumption can also be lowered (7% per °C) by hypothermia. When the hemoglobin concentration is very low, the oxygen content of the blood decreases dramatically, because the physically stored oxygen (paO2 * 0.003) is only a minor part of oxygen transport in the blood. The physically stored oxygen can only be increased significantly in hyperbaric conditions. Other mechanisms to improve tissue oxygenation include lowering of the hematocrit with consecutive decrease in viscosity and improvement of blood flow. The peripheral vascular resistance is lowered to additionally increase blood flow. The oxygen saturation curve, which describes the dependency of saturation on the partial pressure, shifts to the right due to acido-sis, anemia, and an increase in 2,3-diphosphoglycerate and consecutively improves donation of oxygen to the tissues (Rashad Net University 2006). Perioperative care of Jehovah's Witnesses should ideally start weeks before the surgical procedure. After a positive benefit-risk analysis by the surgeon that includes the determination of the possible blood loss, the patient should also be assessed by the anesthesiologist to determine the patient's preferences and preclusions. After all parties agree on how to proceed with medical management, the patient must sign a consent form memorializing his or her request not to transfuse under any circumstances. At this early stage of planning, an oral iron medication should be considered. ing system "maintains in the circulatory system". Additionally a cell-saving device can be used intraoperative-ly, if no contraindications exist and the patient accepts its use. able. Hypotension can be achieved by inhalational anesthetics, sodium nitroprusside, nitroglycerin, and tri-methaphan. Neuroaxial blocks such as spinal or epidu-ral anesthesia also lower the blood pressure, but controlling the amount of hypotension is more difficult. Positioning the patient so that the surgical field is at a high point may result in less blood loss. Mild hypothermia is another possible measure to reduce oxygen demand in anemic patients, as mentioned before. A target core temperature of 30-32°C is typically chosen to balance the reduction of oxygen consumption with the side effects of cardiac arrhythmias and the hypocoagulatory state. Desmopressin, a synthetic analog of the antidiuretic hormone, can elevate the coagulation factor VIII and von-Willebrand factor. Aminocaproic acid and other antifibrinolytics can reduce blood loss by inhibiting the physiologic or increased lysis of already formed clots. Recombinant human erythropoietin stimulates the synthesis of eryth-rocytes but takes a while to produce an effect and is quite expensive. The artificial substances such as per-fluorocarbon that transport oxygen are not as effective as hemoglobin and still need further development. Table 3.13 lists the possible strategies, measures, and effects to avoid blood transfusions. From this summary, the treating physician should extract the measures applicable to a specific patient. If a hospital anticipates they might administer emergency care to Jehovah's Witnesses, it should establish a protocol for such treatment to help avoid any medical, ethical, or legal dilemmas that may arise. All the blood-saving techniques discussed above also apply to the regular patient in order to minimize blood loss and the need for transfusions.